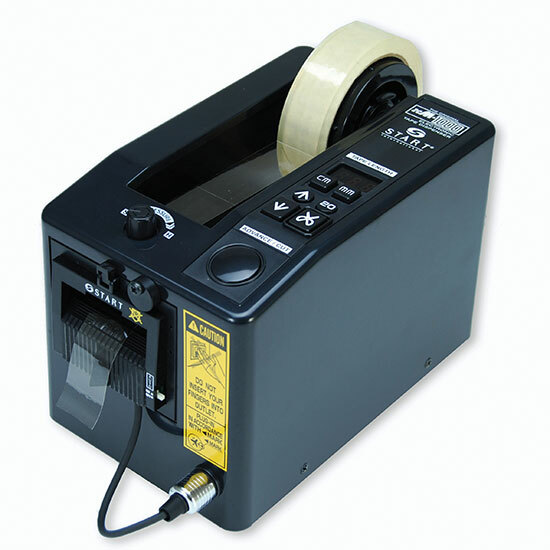 The START International zcM1000T Electric Tape Dispenser for thin polypropylene & packing tapes automatically dispenses & cuts tapes up to 2" (50mm) wide. 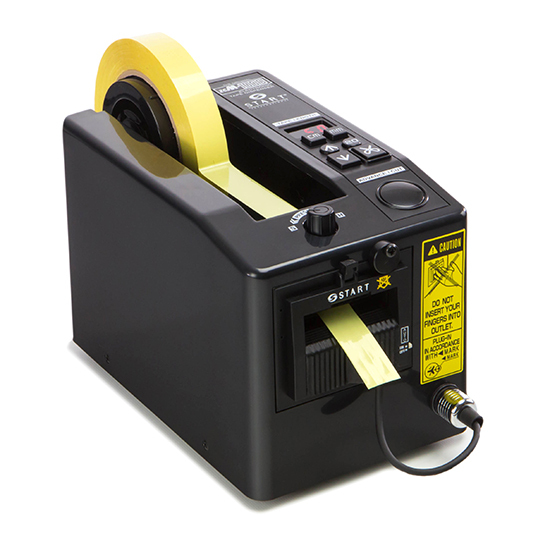 Originally introduced by START International, the zcM1000T is one of the most reliable and accurate tape dispensers on the market. 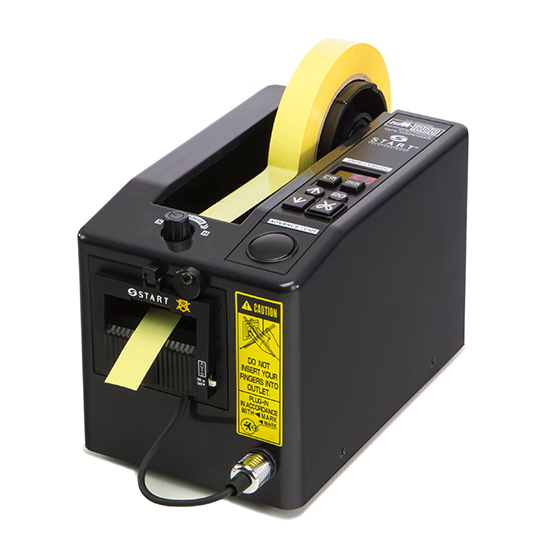 Quickly and easily program a desired length digitally and the zcM1000T will precisely dispense and cut with accuracy of +/- 1mm. The zcM1000T has been used in the most demanding industrial environments for 30 years. 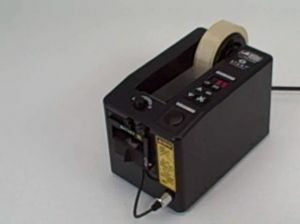 FOR THIN TAPE.